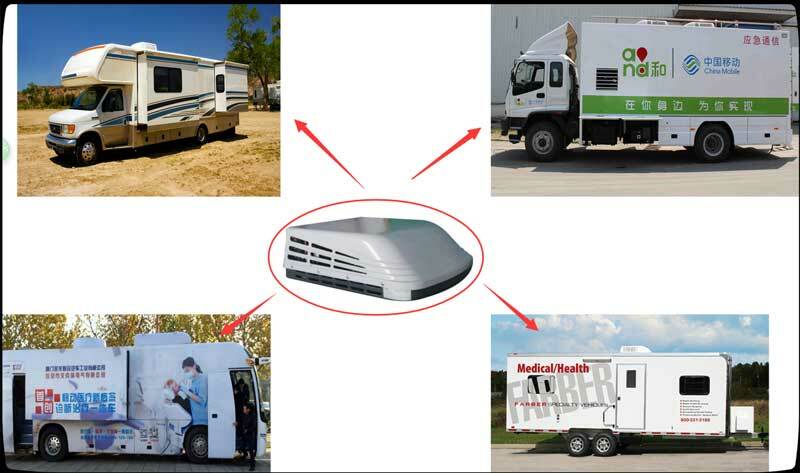 Application: • RVs, mobile medical vehicles, Special vehicles etc. 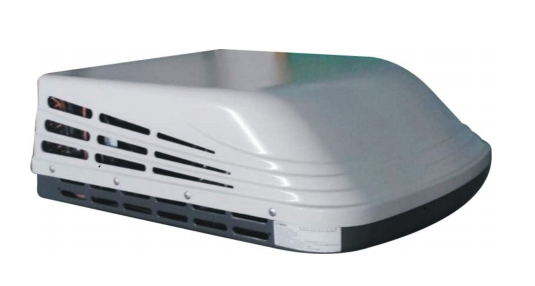 The Ecooler 3800A electric air conditioners for motor vehicle are roof top 220 volt AC powered air conditioner. 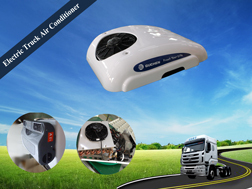 This 220 volt air conditioner for motor vehicle includes in RV air conditioner and mobile health trailer air conditioner with 3800W cooling capacity. 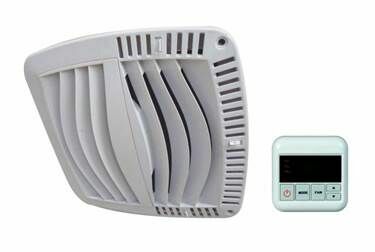 This small air conditioner for RV can be also mounted on the emergency communication vehicle, mobile communication vehicle and special vehicles. 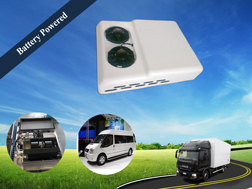 With its 3800W cooling capacity and 220 volt voltage, users can mount the electric air conditioner on the roof top of motor vehicles. When the vehicle stopes, users can connect the air conditioner with outside power source. When the vehicle is moving, the electric air conditioner only consumes the vehicles power. So it really helps the user to save fuel! 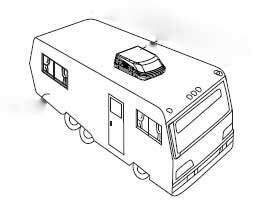 The air conditioner for RV trailer (or other vehicles) is a kind of parking lot air conditioner to connect alternating current with 220 volt voltage. When the vehicle stops, it can be recharged by the outside power source, which can save the fuel a lot. In the internal side of guchen RV air conditioner, you can see it adopts copper pipe in condenser and evaporator, so it is more reliable for a long-term life service. It adopts axial fan thermal design in evaporator, so it can low down the temperature in vehicles quickly. 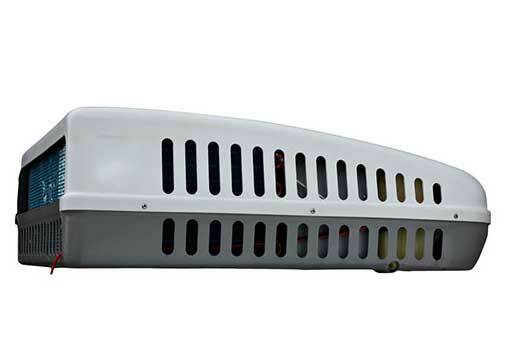 Guchen air conditioner for RV trailer is reasonably designed the air out, so users can adjust air flow in multi-directions for a comfortable vehicle condition. The RV air conditioners are small in size, light in weight. 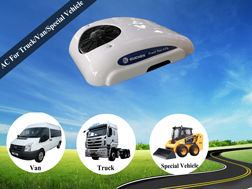 It is suitable for all the 360mm*360mm skylight structure, so users don’t need to worry about that once trepan a hole in the roof of vehicles, it will not suitable for other RV air conditioners. This 220 volt air conditioner for motor vehicle are easy to install, we will supply the free and detailed installation instruction. Tramway operating vehicles, special vehicles, telecom basement and so on. RVs, Vans, mobile medical vehicles, Special vehicles etc.